By the middle of the 11th century in the town of Coventry, England, the local townspeople had spent years under the oppressive regime of their ruler, Leofric of Mercia. Leofric taxed his people heavily... which was commonplace in the Middle Ages. Feudal barons were extremely creative in taxing trade and commerce, demanding egregious tolls from merchants who passed through their lands and waterways. Years and years of debasing the currency had resulted in severe hyperinflation-- a period of Roman history known as the Crisis of the Third Century (from AD 235 through AD 284). The US territory declared bankruptcy last May. A combination of a shrinking population, bloated pensions and a job crisis (in 2006, the US government repealed tax incentives that attracted manufacturers to the island) caused Puerto Rico to go broke. Even in its fragile economic state, PR was planning on paying creditors $3.6 billion through 2022. In a move almost destined to prove that laws and policies have absolutely zero meaning, the European Union released a list of “tax havens” last week… with a massive, giant, highly conspicuous omission. The blacklist contains the names of the usual suspects-- Panama, United Arab Emirates, etc., along with a few additions like Mongolia and Marshall Islands. Adam and his family evacuated the island for the hurricane, but he’s been in close contact with his friends who stayed on the ground. And the situation is bad. According to his contacts on the ground, people in Puerto Rico are running out of cash. And ATMs aren’t working. When I was a boy, wealth was regarded as a thing so...admirable that almost everyone affected to own more property than he actually possessed. Now a man has to be ready to defend himself against being rich as if it were the worst of crimes. Ancient Greece had become deeply divided at that point. This is the very first article I’m writing to you on the brand new Macbook Pro that I just purchased here in Hong Kong. It’s the fully loaded version with 16GB of RAM, a 1 TB SSD hard drive, and 3.5 GHz i7 processor. On October 22, 1986, the world was an entirely different place. The Soviet Union still loomed, as did the threat of nuclear annihilation. Hardly anyone had ever seen a cell phone. And with a $4,000 price tag, even fewer people owned one. This was a pretty big deal. In ancient times, you worked until you died. There was no such thing as retirement. Recently I wrote to you explaining why I’d just purchased shares of Royal Dutch Shell. Shell is a giant in the oil industry that’s been in businesses for more than a century. And while I almost never buy stocks, they were practically giving this one away. When I bought Shell, the shares were trading for less than the company’s net tangible asset value. Twenty-seven years ago at the 1988 Republican National Convention in New Orleans, George H. W. Bush accepted his party's nomination to run for President of the United States. The Japanese are known for being great savers and for prioritizing family ties. So it’s particularly important for them to make sure that their savings get passed along to their children. It’s part of human nature to want to pass along our knowledge and our wealth to our offspring so that they can have better lives. I can't say I've known too many guys in my life named 'Boris' who were shy about standing up for themselves. The name itself means 'wolf' in an extinct Turkic language. And if the current mayor of London Boris Johnson is going go to toe to toe with the IRS as he has stated, I certainly hope the translation is accurate. Americans: This is how free you really are. Among all the great stories and conversations passed down from the ages, probably my favorite is one from the ancient historian Lucius Cassius Dio about Roman emperor Caracalla. Caracalla ruled in the second century AD, and he was notorious for bankrupting the Roman treasury and waging costly, unnecessary wars. If it’s such a privilege, why do they have to stick a gun in your face? That's how much time people in the Land of the Free waste each year preparing and filing their tax forms to the IRS-- roughly 13 hours for each of the ~150 million individual returns filed. And if you're doing your own taxes this weekend, it may certainly seem like you've spent that 2 billion hours yourself just preparing your 1040. Bitcoin taxes were inevitable. I've written about this numerous times, and have even gone so far as to predict that the government will probably mandate special Bitcoin reporting on foreign disclosure forms. 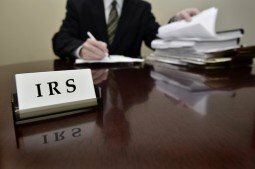 The IRS scandal caused a massive uproar last year when it was revealed that the agency was deliberately targeting non-profit political groups solely based on their names or political themes. One of those groups was called True the Vote, a grassroots, non-partisan organization that recruits and trains volunteers to monitor elections.